Mastery of Meditation and Yoga is soon going to be 5 years old and over this time I have shared a lot of yoga and meditation information, not just on the website, but also via my Mastery of Meditation and Yoga Newsletter. The number of subscribers to the newsletter now exceeds 85,000 and I appreciate all of you who have signed up and are part of our online community. If you have not signed up yet, you may do so at the top left corner of the website, and for doing so you will also get my Amazing Insights E-book for free :-). Given that I have shared so much information via the newsletters, I thought it would be useful to also publish the best of these newsletters on the website, so that those of you who signed up more recently or those who read the blog via their RSS feed or by visiting can also enjoy and benefit from the knowledge shared therein. So below is one of the more popular newsletters I sent. It is the February 2010 edition and it listed the best articles from 2009 and also introduced the interesting and potent Serpent Meditation Technique for Awakening Kundalini. Since I have separately published the Serpent Meditation in more detail in another article, I have simply linked to it below now. 5 Excellent Tips to Elevate Your Yoga Practice. Below is the newsletter, with the Serpent Meditation now linked. Also, be on the lookout for the October 2011 newsletter which I will be sending out in few days. The purpose of the Mastery of Meditation newsletter is to keep all of you updated on the newest developments, free offerings and upcoming events on the Mastery of Meditation blog and Silent Mind Yoga & Meditation Center. As the newsletter evolves, it’s purpose will remain consistent with the overall goal of the website, which is to help you achieve greatness and discover the True Nature of Reality. Welcome to all the new subscribers, it’s great to have you on board, and I hope you are all enjoying and benefiting from the Mastery of Meditation and Yoga Website, Free Online Yoga Classes, Free Mantra MP3s, Free Hatha Yoga Poses, Free Kundalini Yoga Exercises and Free Online Guided Meditation Techniques. In my last newsletter I detailed the top yoga and meditation techniques from 2009, and today I would like to highlight for you the top 10 articles from last year. These personal and spiritual development articles were the most popular articles of ’09. Also, you will find below the unique and powerful Kundalini Kriya Yoga Serpent Meditation, to help you awaken and raise Kundalini Shakti (Energy). Finally, I have a special offer for you all only (the newsletter subscribers) regarding the rapidly expanding Mastery of Meditation Certification Program + 2 Bonus Gifts. I am offering 2 free bonus gifts via this special link to subscribers who wish to join the Meditation Teacher’s Training Program and walk this noble path with us. Top 10 Articles of 2009. Powerful Kundalini Yoga Serpent Meditation. Special Meditation Certification Program Offer w/ 2 Bonus Gifts. Links to all the Free E-books, Online Classes and Videos. How You Can Help – My Top Products. To help me share this knowledge, please forward this email to others who you feel can also benefit from this website and newsletter. I also welcome any feedback and suggestions you have. Thank you all. Here are the top 10 most popular personal development and spiritual growth articles of 2009. They cover a wide range of topics, from meditation, yoga tips, principles of enlightened living to psychic powers and more. This article resonated with many readers and helped them realize they were not alone in facing these very common hurdles on the road to enlightenment. An upside down look at the great advantages of meditating, by analyzing the pitfalls of not meditating. See how not meditating can mess up your life :-). The 3 most basic principles for starting your journey to Self-realization. Living by these 3 principles will surely accelerate your spiritual growth. A thorough analysis of this very heated and controversial topic that has 2 clear camps. So what do you think? Should spiritual services by free or is it ok to charge? Life is a game of energy and in this article I discuss some unusual ways to help you build and conserve your energy so you can ramp up your life. A thought provoking Zen story revealing what are the most important books in the library of God. A little trick on how to best deal with difficult situations. An inspirational article to help uplift you and give you great courage. Some simple but important techniques to help you get the most out of your yoga practice. A detailed look at Patanjali’s Samyama and other techniques well known to bestow psychic powers and abilities. The Comprehensive Multi-Media Meditation Teacher’s Training Program is in full swing, and participation is growing rapidly on a daily basis. I wanted to take a moment and thank all the great souls who have joined the program and chosen to walk this noblest of paths. Meditation is the absolute key for realizing your highest human potential and if you are interested in spiritual evolution and Self-Realization, then inevitably you will have to master this great art. 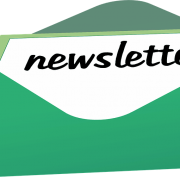 In addition, to show my appreciation to you all for being subscribers, I am currently offering 2 Free Bonus Gifts only to subscribers of this newsletter, for joining the program. These gifts are my very popular Consciousness Expanding Guided Meditation MP3 and my most downloaded product, my Amazing Insights E-book. So go ahead and take advantage of this offer, there is no substitute in the world for meditation. Please use the special link below to enroll in the program and receive these 2 bonus gifts. The website is now very large and I wanted to give you a list of key articles, which are like indexes and from which you can enter various important sections of the website. The articles below are these important “portals” and contain the links to the techniques, exercises, classes and videos that lie deeper within. Enjoy! Meditation Teacher’s Training Program: The best online Meditation Certification Program to help become a master maditator and great meditation teacher. Let’s raise the level of human consciousness together. Complete program for as low as $21. Earn good karma as well as a good living. Best Beginner’s Pranayama: An excellent set of yoga breathing exercises, powerful and effective, yet designed for those just beginning pranayama practice. Full length videos, with detailed training and step-by-step instructions. Consciousness Expanding Guided Meditation MP3: A unique guided meditation to help you expand your mind, and discover your True Divine Nature. Amazing Insights E-book: (Over 1000+ downloads). This e-book is a collection of my best spiritual stories, as well as the best article from Mastery of Meditation & Yoga. 2. Give a Donation: If you are enjoying and benefiting from the website and newsletter, please consider leaving a donation. It will help support my effort to freely spread this profound wisdom to help others as well. If you are enjoying the website, please spread the word so more people can benefit. 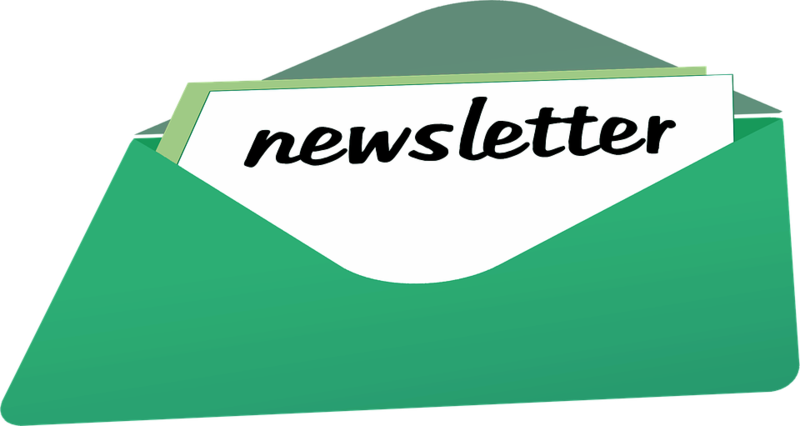 An easy way to do this, is simply to forward this newsletter to those who you think would be interested. I appreciate your help in helping me help others. It is really heartening to know that Mastery of Meditation and Yoga is soon going to be 5 years old.All over this time you have shared a lot of yoga and meditation information free of charge not just on the website, but also via your Mastery of Meditation and Yoga Newsletter. This is unimaginable in the present world of commercialization and greed. I am proud to say that I am a part of your online community who is immensely benefited physically,mentally and spiritually.